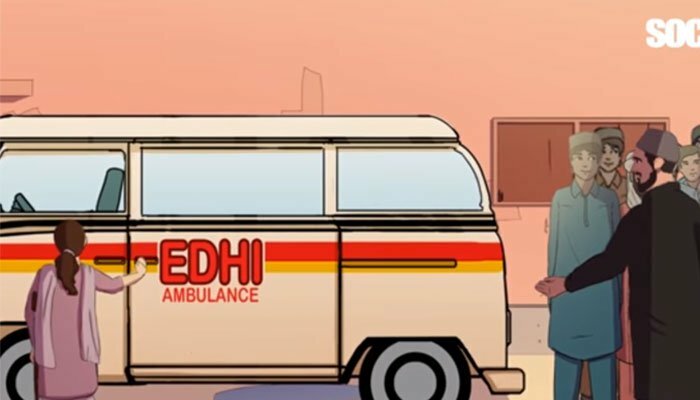 Award-winning filmmaker, Sharmeen Obaid Chinoy, who has tackled several controversial subjects including honour killing has now presented to us her latest project: an animated series of Pakistani real-life heroes. The YouTube series titled Stories for our Children depicts the lives of real heroes and has debuted with the story of Edhi. The first of the four-part series narrates the life and altruistic chronicles of renowned humanitarian Abdul Sattar Edhi. The episode takes viewers back to 1950s when Edhi opened a free medical dispensary and an ambulance service and the challenges he faced. The series comprises of three more episodes that will include the story of Aitzaz Hasan, the 15-year-old who sacrificed his life to prevent a suicide attack on his school in Hangu, KP and that of Kulsum, a young Hazara girl in the village of Khalsabad, Punjab.